Meet Jaco van Gass: Champion cyclist/adventurer/speaker and EIA Guide. Champion cyclist/adventurer/speaker and EIA Guide. South African born Jaco van Gass was a member of the British Armed Forces Parachute Regiment. It was during Jaco’s second tour of Afghanistan in 2009, after five and a half months and with just two weeks to go when Jaco sustained severe life changing injuries. Jaco and his platoon were engaged by Enemy Forces and after an intense 45 minute fire fight, Jaco was hit by an RPG (Rocket Propelled Grenade). The injuries he sustained included the loss of his left arm at the elbow, a collapsed left lung, shrapnel wounds to his left side, punctured internal organs, blast wounds to upper thigh, a broken tibia and a fractured knee. Jaco had 11 operations and intense rehabilitation. Jaco you’ve had an incredible career so far with so many obstacles overcome and great achievements. Starting at the beginning, can you explain how it all came about? Having suffered life changing injuries, you face a number of challenges on a daily basis, as you learn to adapt in being an amputee. I stared off by setting myself small goals and challenges, working hard towards them and once I achieved them I would reset and set the new goal to work towards. I had to learn to walk again and very slowly progress on to running. One of my very early goals was to run a marathon one day in the future. An opportunity came to partake in an half marathon in Kenya … this was the perfect build up towards that marathon. Not long after the run in Kenya I went on to run my first Marathon in New York … the New York Marathon. I have now completed several others. But the biggest challenge of them all came my way …. 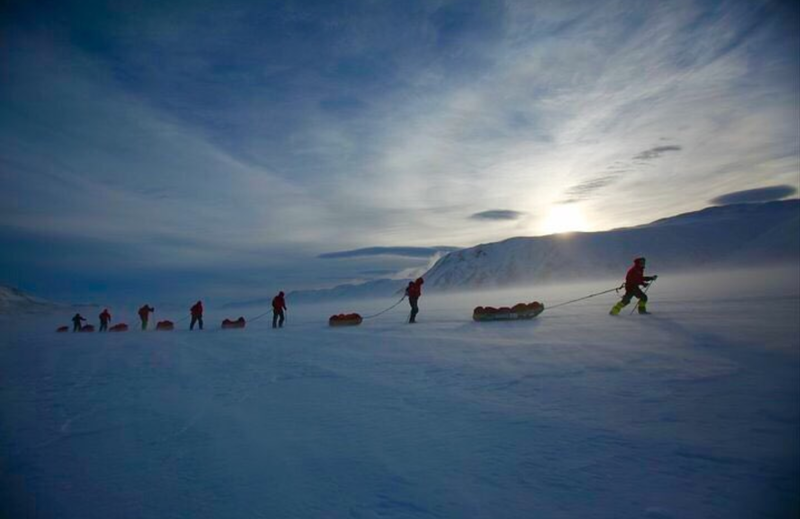 To be part of a team of wounded service personnel to track unsupported to the Geographical North Pole. This gave me new focus and determination to train even harder and to ensure that I was as well prepared as possible. HRH Prince Harry joined us on the trip for a few days and after 14 days on the ice we reached the North Pole. This trip gave me a real taste of adventure, it gave me a purpose and a hunger to push the boundaries. And the rest is history as they say …. I then went on to attempt Everest, we climbed Denali and Aconcagua, I pursued a career as an professional cyclist with the dream to partake in the Paralympics and many more. What has been a highlight for you? I imagine winning your bronze medal for the Great Britain Para-Cycling team in the C4 4K Pursuit in Rio De Janiero was pretty special! Yes this was truly a very special moment for me and one of my greatest memories. Inspired by the London 2012 Olympic and Paralympics events, I really wanted to become an Paralympian and to partake at the Rio 2016 Games. I sat my focus on cycling and soon became part of the British Cycling Development Team. I worked hard and progressed through the system from Development on to the Academy team and further on to represent Great Britain at the highest levels. The sacrifice was huge and I moved to Manchester in the buildup to Rio … I left no stone unturned. Unfortunately I narrowly missed out on the final selection for the team to go on to the Rio 2016 Games. This was a huge disappointment for me as I truly believed that I could win a medal if given the chance. The opportunity didn’t arrive till 2 years later, when I was selected to represent Great Britain once more at the Track World Championships …. And guess what? … It was held in Rio. At this moment I was an independant rider, not on the British Cycling squad anymore (by my own choice). But recent performances qualified me for selection for the World Championships and I was selected. I got my second chance… to show what I potentially could have achieved back in 2016. We were due to be racing in the same country, the same velodrome, against the same competitors as the 2016 Games. 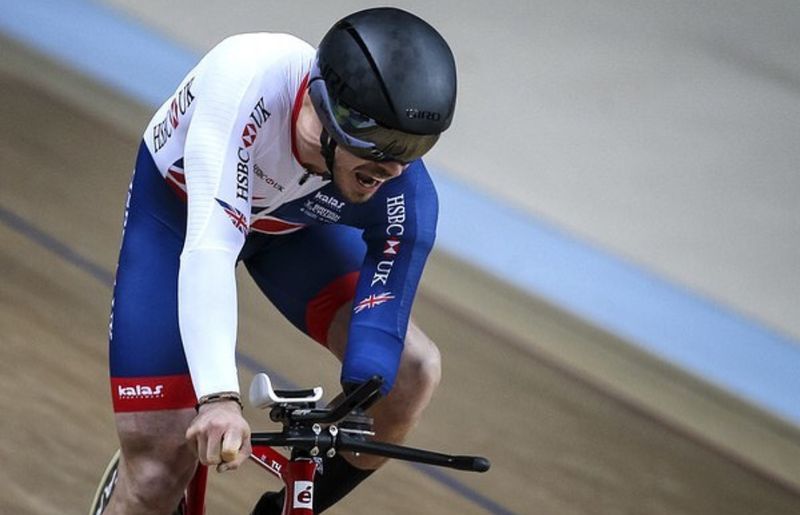 I came away from the championships with a Bronze medal and set a new British record for the C4 4km Pursuit. Having your military career with the parachute regiment cut short must have been tough, physically and mentally. What gave you the strength to not only keep going but to take on so many super human challenges? The Taliban tried to kill me …. and they failed! Yes they changed my life in so many ways. If I sit and do nothing and feel sorry for myself then the Taliban wins …. I might as well be dead. I take a lot of strength from my family …. If I can show them that I am okay and I can live a fulfilled life then I know in their hearts they will find peace for what happened to me. Could you tell us more about the Adaptive Grand Slam? How you got involved and what has been achieved so far? It started after Everest. Myself and Martin Hewitt just love taking on challenges and we decided to climb the 7 summits. 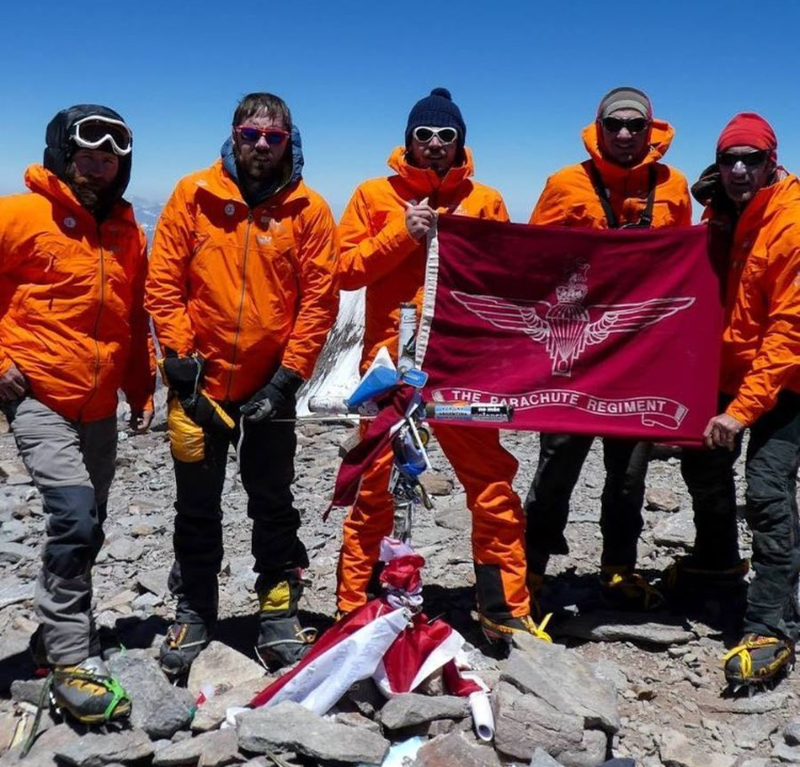 We set no time limit on it, it was puerley just a group off friend climbing mountains together. A few months after our return from Everest, myself, Martin, Harry Tailor, Henry Chapman and a new climber Craig (Craig is visually impaired and has zero sight) met up and successfully climbed Mt Denali. After Denali I got accepted on to the British Cycling Team and all my focus was geared towards Rio. Martin has seen the great opportunity these extreme challenges present and founded the Adaptive Grand Slam. 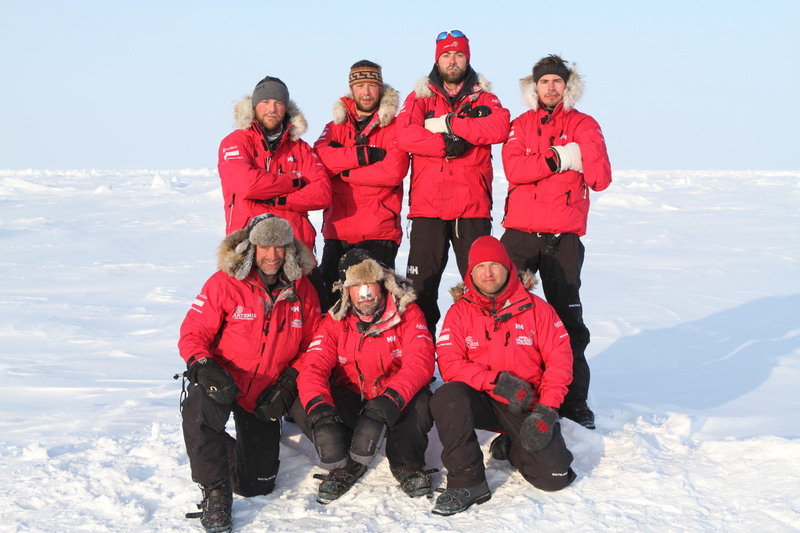 I closely followed the team’s progress and joined in on smaller European expeditions or some training camps. Martin has done a great job and the team have achieved some great success. I have summited Mt Denali and Mt Aconcagua with the team. Having the Adaptive Grand Slam guys as guides for our Everest in the Alps challenge is such a bonus for us; it really inspires all the team members. What is your role as a guide during the event? We are there to help as much as possible, be that helping to set all the equipment up in the right manner, give advice on items to pack or even just to have a good chat to help you take your mind off the pain when it gets tough. We are also there to give inspiration and motivation… If we can do it, so can you!! How do you think EIA compares to other ‘challenges’ Is it a real test for the average person? I know you were struck with unusually cold temperatures this year! EIA most certainly is up with some of the hardest challenges out there!!! It truly takes a great deal of endurance, skill and robustness (mentally and physically) to complete. You simply have to hit the daily average vertical gains or you are just simply making it much harder for yourself. The days are long and they are hard but it is not impossible!!!! What did you find people struggled with the most? What can people do to prepare better and be in the best place to complete this challenge? I would highly recommend individuals to invest in their own ski boots with custom insoles and to spend time in those ski boots before the event. As I mentioned before the days are long and hard and when your feet are in pain and blistered it becomes a huge struggle to get through the last few hours of the day. And to put your feet in to boots that hurts first thing in the morning on day 3\day 4 is no fun at all. Finally, what’s next for you? Apart from the possibility of another Everest in the Alps trip in 2019 of course! Have you got anything exciting planned that you can tell us about? Myself and another EIA guide Stu Croxfort are taking on the Cape Epic in March next year. The Cape Epic is an 2 man team, 8 day MTB stage race and classed as one of the hardest in the world. Eight days, 624 kilometres and 16 650 meters of climbing. When we complete this race we will become the first ever fully disabled team to complete this race.